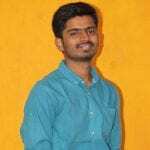 9 Acupressure Points for Cough Relief - How to Cure Cough Naturally? Cough relief can be achieved by many ways. There are several cough remedies and tips apart from medications which can cure it with great natural effect. Curing general ailments has never been so difficult with organic treatments since ancient times. Many medications have evolved in many areas of the globe distinctly in ancient times, out of which reflexology technique for pain relief is on top for its uniquely effective and cheap treatment for any pain. Acupressure points for cough are used widely as alternative medication in place of scientific medicines. There are proven results of acupressure for any pain relief though it is not scientifically verified. Weather condition is the major reason behind a cough. It often gives rise to throat pain under severe conditions. They might include hazardous viruses and disease-causing cells which may carry pneumonia, influenza, bronchitis, etc. If that is the case, by the time you search for the treatment, you would not be able to resist the pain. In such situations, the only way to get rid of a cough is to seek the medical treatment. But simple pain or starting stages of the problem can be resolved by acupressure points for cough treatment within no time. 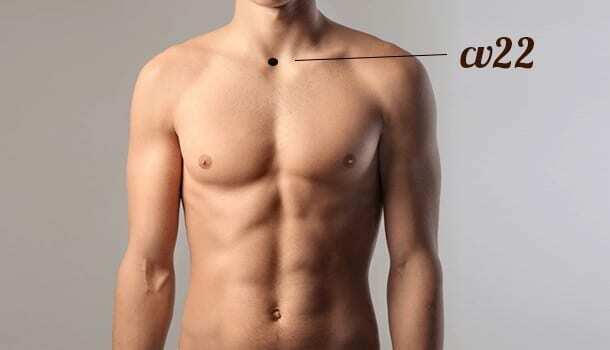 There are a handful of acupressure points which work for cough treatment. What causes a cough does not decide which point should be used for cough relief. Any of the below points work as far as they are correctly treated at the exact point of the treatment. Sometimes, we may miss the point and may not be able to get the cure for cough/any other pain, then better try all the points whenever you find the time. Usually, anyone point always works out for pain relief. Not only the acupressure points for a cough, but any pain relief requires similar application where the location of points may change. How to treat is as simple as walking, but only when you aren’t an infant. Find the acupressure point correctly, press on it with firm force, and massage for a couple of minutes. Use thumb whenever it is possible. Otherwise, use the next two fingers of the hand. This is because these three fingers can induce necessary firmness and force with a proper sense of application. Now, with the knowledge of treatment, let us find the locations of various acupressure points for cough. With these points, you can directly jump on to cough treatment to get relief from the pain. Stomach 36 is the most popular pressure point for the common ailments. It can treat several problems like a toothache, stress relief, and ineffective digestion. It is located a handbreadth below the knee lateral to the shin bone. Apply firm pressure for a considerable period. Try this 2 to 3 times a day for better results. Breathe intensely while massaging. Do not put excessive pressure hoping there will be a quick cure for cough. Heavenly pillars are the two symmetric points located on either side of the spine 3 inches apart from each other. They are a half-inch below the skull base. Apply pressure for 7 to 8 minutes, 3 times a day. It also works for burnouts, stress relief, and sore throats. In the remedies for cough, it is best one out of all the acupressure points for cough as it could cure many related problems. In the hollow under the collarbone, beside breastbone, K27 pressure point is located. Along with cough treatment, the elegant mansion or K27 works for shoulder and neck pain, throat problems, thyroid disorders, etc. This particular point lies in the middle of the clavicles above sternum i.e. breastbone. As a cure for cough, cv22 stands out to be the best suggestion. Press on the point for about 1 minute, or wait for the relief from a cough. Do not apply too much pressure; your throat may start choking if you press with deep force. Lung 5 or LU 5 lies in the depression of the elbow right beside the bone of your hand. You can sense this hollow when you fold the hand a bit. Place your thumb in the gap and close the elbow further. Hold the hand with all your fingers around the elbow for support. Hold it for a couple of minutes. Breathe deeply while performing the operation. 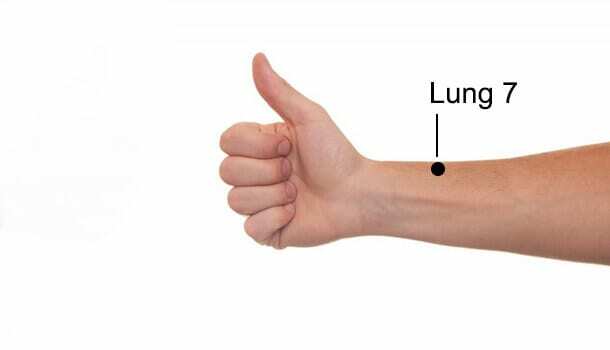 The lung 8 or LU8 acupressure point is in the hollow present just below the pulse nerve on your wrist. LU8 works in clearing phlegm, curing sore throat also. Acupressure for cough relief works quicker than any other treatment, and this acupoint proves it practically. 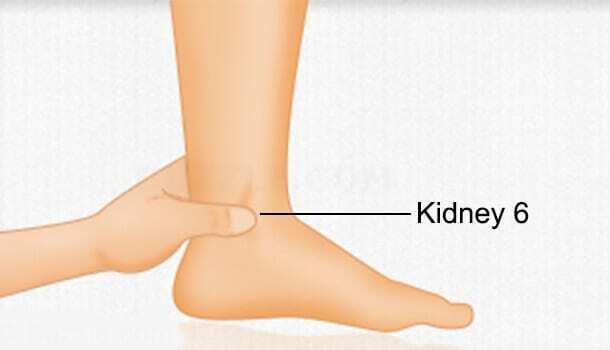 KD6 is on the ankle, an inch below the medial malleolus point on the ankle bone. It is in the depression of two tendons. 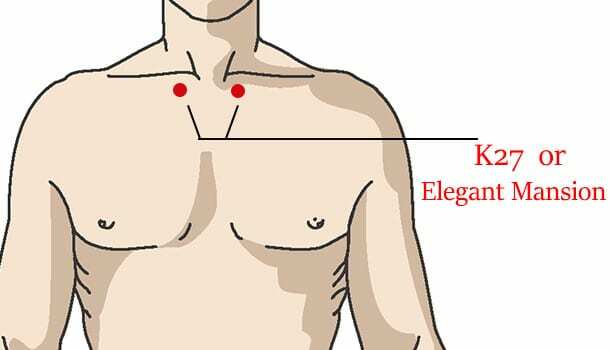 Along with KD6, if we try on another point LU 7 or lung 7, these acupressure points work for a cough and sore throat. Lung 7 is present in thumb side on the hand wrist, an inch below the thumb in the gap of two tendons. g points become the best combination of acupressure points for cough. This point is in popular use as a remedial acupuncture/acupressure point for cough relief. The original Chinese name has been in use for this acupoint i.e. ‘stop asthma.’ In severe cases, a cough might be the prior symptom of asthma or any respiratory diseases. 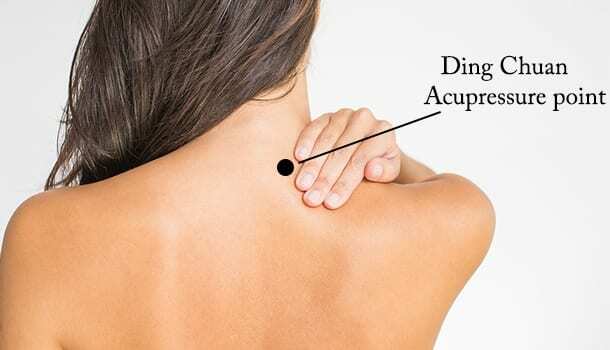 The Same point has a great use in acupuncture technique, which is again a similar alternative medication. Ding Chuan is located on the lower border of spinous process on the back. Not that acupressure points for cough do not work well; we have to maintain the body condition perfectly resistive to any future problems and possible side effects. For that matter, you need to take care of food and physical practice of your daily routine. Grab a ginger root, add a slice of it into lemon juice or normal water; make a strong ginger tea in any other method you know. It works for cough relief with an extraordinary quickness. Chewing spices like cinnamon, or clove, or garlic, or any other will be the best cough remedies rather than trying many vitamin-based tablets. Eat as many as herbal ingredients like coriander, peppermint, honey, green tea when you are suffering from a persistent cough. These remedies for cough are best out of all, even for many other problems like cold and headaches. Try to be cautious about your respiratory system and throat health. It affects the sensitive things like phlegm, cold, etc. which become causes of a cough, asthma, and several other issues. Better avoid chilled drinks if you have sensitive throat and do not neglect diet patterns as they have a major role to play once you start facing problems related to respiratory system. 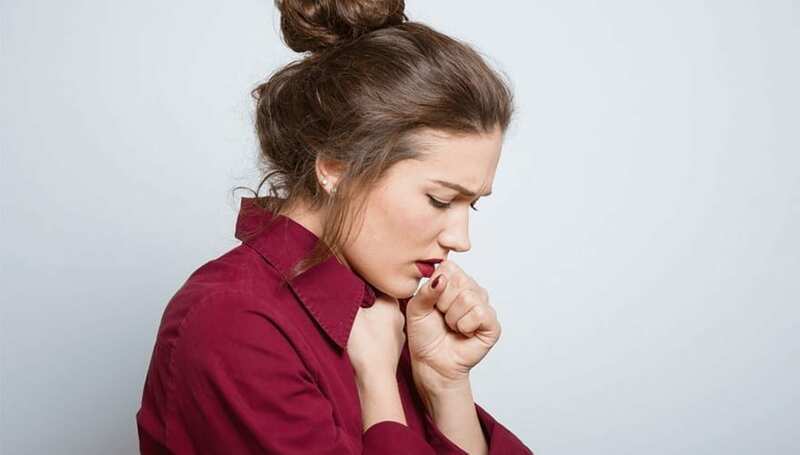 With sufficient information about how to get rid of cough in short time and the acupressure points for cough, we assure you the best and quickest relief from the problem.